If you’ve been asked to be a best woman in a wedding, you may be wondering if it’s the best idea. After all, maybe it’s not something you’ve done in the past. But we say go for it! 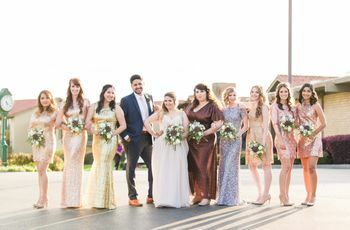 If you’re close friends with a guy who’s getting married, it makes sense that he would not only want to involve you in his big day, but have you standing next to him as well! It’s a huge honor to be asked to be a best woman, so definitely remember that when making your decision. Since this role is kind of new (along with bridesman, groomswoman, man of honor, etc. ), we’ve come up with some pointers to help guide you along the way so you can fulfill your duties and be the best...best woman. Here's a list of best woman duties you should be aware of before taking on this important role. Whether your guy friend or relative consulted you before he bought his partner’s engagement ring or not, it’s a good idea to offer to come along when he selects a wedding band for his partner. After all, a woman’s perspective can only help here, right? And don’t forget that just like any best man, you’ll be the one to keep track of the rings on the big day. As the best woman, you should be involved in events like the bachelor party, the shower if it will be a couple’s shower, the rehearsal dinner and wedding itself. For these events, you’ll act as a coordinator and detail-wrangler, handling all the little things that the groom shouldn’t have to worry about. 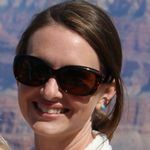 Don’t be shy about stepping right up and helping! 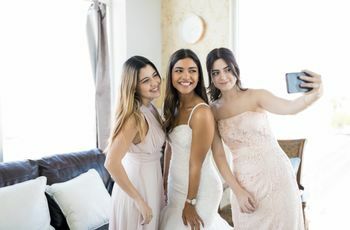 Gender definitely doesn’t come into play here—you can guide guests to their seats at the wedding, collect gifts and envelopes after the reception, and help get the wedding party to the right place at the right time. Since you’ll be in charge of handling the bachelor party planning, feel free to plan something that works for all of you; the groom, the rest of the groomsmen, and yourself, of course. While you shouldn’t have the guys hitting up a spa for the bachelor party, they should certainly be willing to skip the stripper or similar activities that would make you uncomfortable. If you have any concerns about the bachelor party or any other male-only events, be sure to address them with the groom in advance. Chances are, he’ll be more than happy to accommodate your needs. There are no hard and fast rules to follow when it comes to deciding what you’ll wear for your role as best woman. 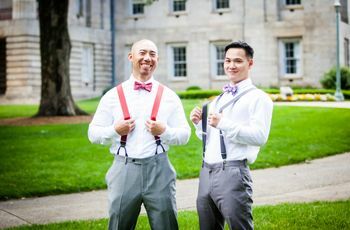 Options include a tasteful suit cut for a female, a dress that coordinates with the bridesmaids’ dresses, or a darker-hued gown to coordinate with the groom’s and groomsmen’s suits or tuxedos. If the wedding will be a casual one, feel free to go with one of these options, or go in a different direction entirely. But for a more formal affair, a dark-colored gown may be the most suitable option. Stand by the groom’s side. As the best woman, you’ll stand on the groom’s side during the wedding, regardless of your relationship to his partner. 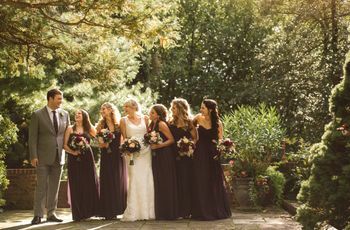 But if the rest of the wedding party will be comprised of traditional gender roles, you may find yourself with a one-off situation for the recessional, when bridesmaids and groomsmen typically pair up to walk back up the aisle. The good news is, there’s a myriad of solutions to this issue. Nowadays, couples can pretty much make their processional and recessional as unique as they want—there are truly no rules here. 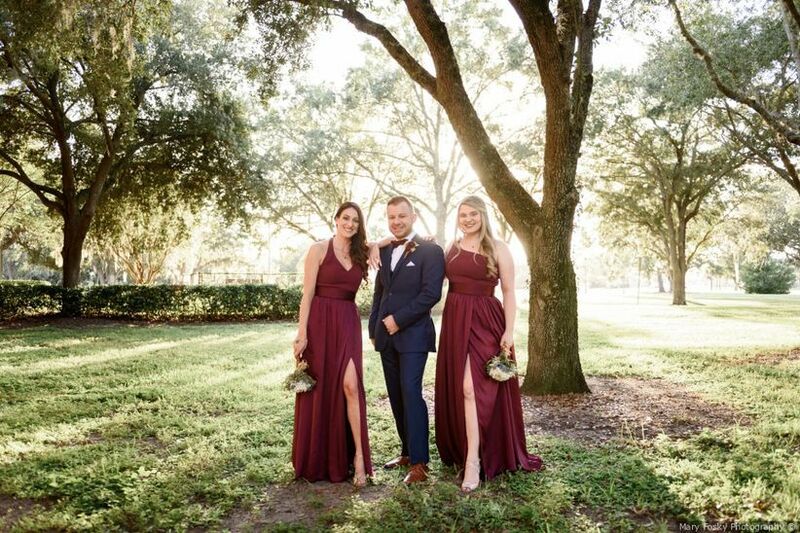 So as the best woman, you should work with the couple to come up with a recessional that works for everyone, whether it’s simply walking side-by-side or doing a completely funky dance.